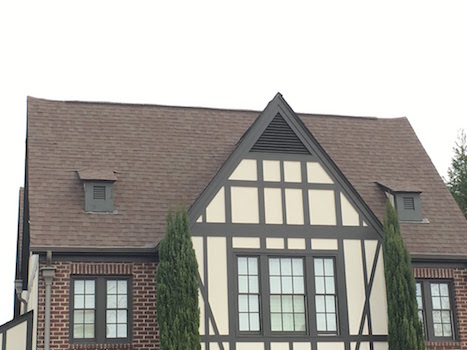 When you call Bill White Roofing and Specialty we will do a thorough inspection of your entire roof structure to determine the next best steps for repair. 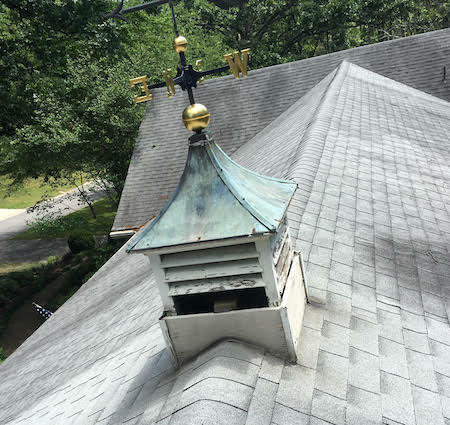 You might know that you have an issue because it is visible, but there can be other underlying issues that only a qualified roofer can identify. Some things you can look for are moisture in your attic, obvious gaps that allow light to shine into your attic, buckling shingles, and damaged flashing. It is best to attend to small repairs as soon as possible before they become serious issues in the future. Give us a call for reliable roof repairs anywhere in the Birmingham area. The roof fascia is a long, straight board placed along the lower edge of the roof. It is attached directly to the roof trusses or rafters and is the area where the gutter is connected to the roof. The main role of the fascia is to serve as a layer between the edge of the roof and the outdoors, and is used to protect against water damage that can occur when it rains or snows. The fascia board is susceptible to moisture damage, mildew, and rot, and if left in this condition, can expose your home or business to damaging weather conditions due to the lack of proper protection. Be sure to contact a certified roofing contractor if you notice any issues with this roofing component. 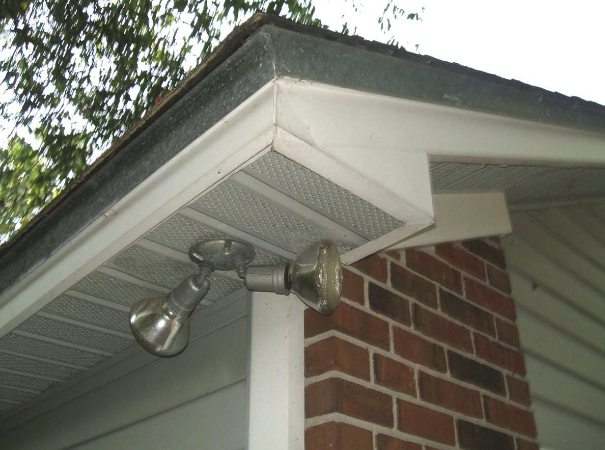 The roof soffit is the exposed surface underneath the overhanging section of the roof eave. One of the main functions of the soffit is to aid in ventilation of the attic. It typically features small holes that help provide air circulation. The air flowing through the soffits to the vents draws heat and moisture away from the house, which is extremely important because moisture in the attic can cause the sheathing and rafters to rot. The soffits are easily exposed to moisture due to faulty gutters and wet weather conditions. 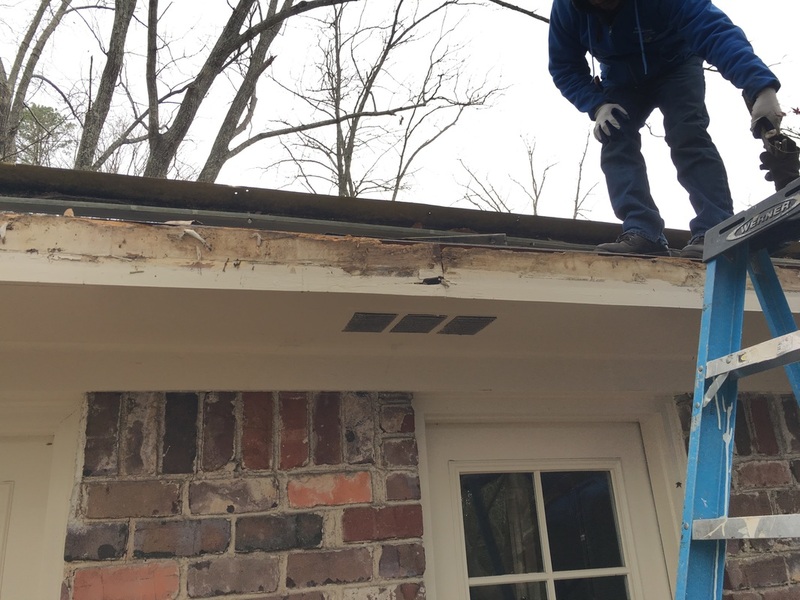 Cracks, holes, and rotting of the soffits will attract small animals and insects that want to find a cozy place to set up camp. Check them regularly and call the experts if they need repair. 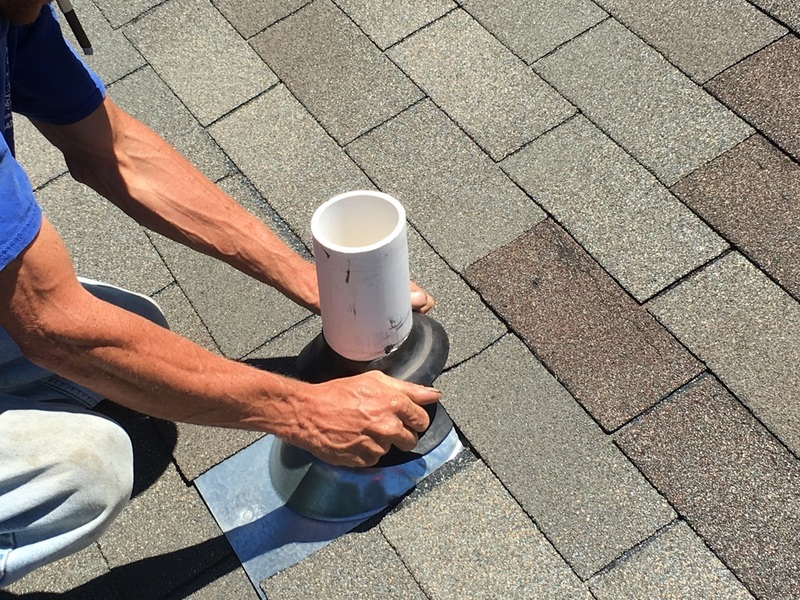 Roofing shingles are the protective covering over your roof that, when placed correctly, channel water off of the roof and into the gutter system. Shingles are made from various materials, including asphalt, tile, and wood. As shingles are exposed to the hot sun beating down on them every summer, torrential downpours and wind every time it storms, and the drastic drop in temperature every winter, they begin to lose their effectiveness over time. 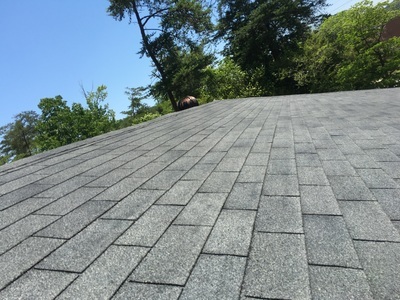 If you notice any of your shingles have curled or buckled, or have lost granules, it is time to call in the pros for repair work. The roof flashing is the material that is used over the joints around pipes, vents, and other protrusions in the roofing structure. It is usually constructed of aluminum or galvanized steel and prevents water from seeping in and causing damage. Many older roofs consist of flashing made with roofing cement or tar, which cracks and becomes damaged over time. If the joints in the roof are not sealed thoroughly, water will definitely enter the building through these cracks and cause many serious issues. 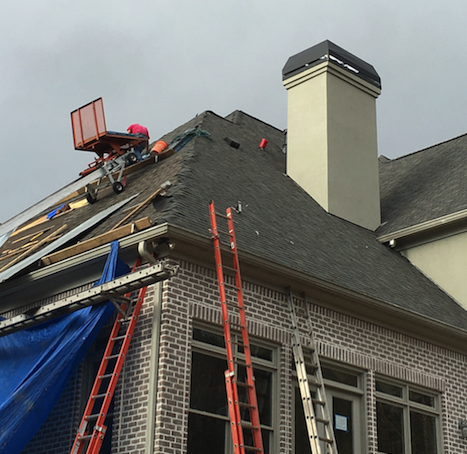 At Bill White Roofing and Specialty, we will repair or replace your flashing to prevent further damage to your home or business. Realizing your roof needs repair is stressful, and we want to help ease you through the process. 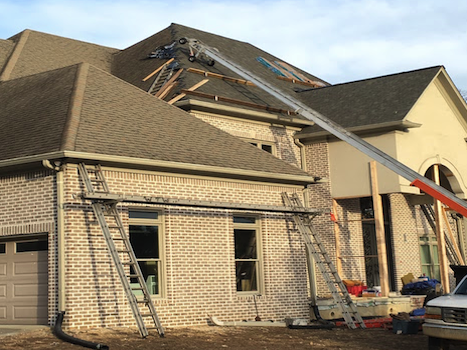 Whether you have a leak, a horrible storm blew through and caused damage, or you have spotted signs that your roof's time is up, it's important to find a roofing contractor that understands your needs and will do the work quickly yet with attention to detail and quality. 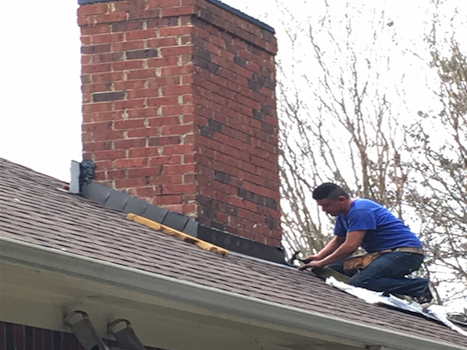 Bill White Roofing and Specialty has over 45 years of experience in roof repairs and will restore your roof to tip-top shape as quickly as possible. If you notice a water stain or leak...call us! We provide quick and reliable services. 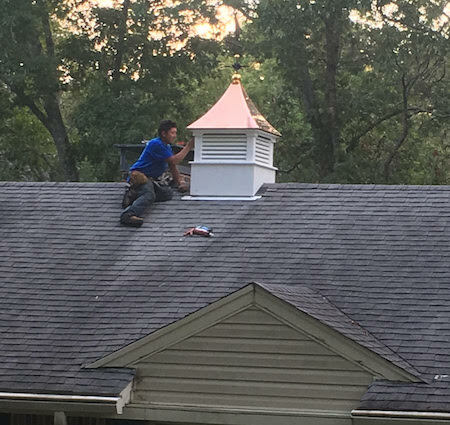 If you find yourself wondering, " Who does the best roof repair near me?"... call us! We work in all areas of town. If your shingles are buckling or have fallen off completely...call us! We do excellent roof shingle repair work. If you recently had a satellite dish installed on your roof...call us! Any time someone who is not knowledgeable about roofing walks on your roof, they will cause damage. If a tree falls on your home or business...call us! We will repair the damage before any other serious issues arise. If you're worried about roof repair cost...call us! We offer affordable rates and work with most insurance companies. 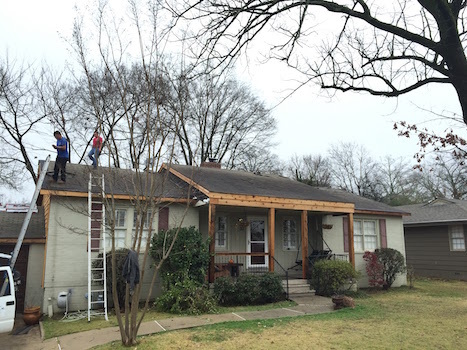 Did we mention that we think you should call us if you need roof repairs?